Complete with a lift top, this square cocktail table is both stylish and practical. 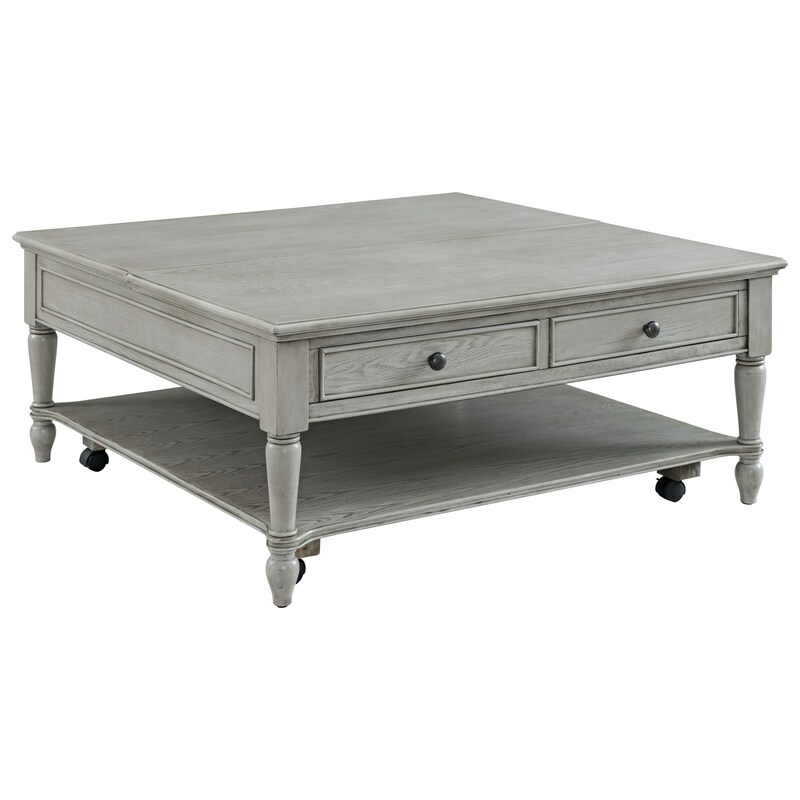 Traditionally turned legs and panel molding add timeless character to this table, while the light grey finish updates it for a transitional look. The Liberty Transitional Lift Top Cocktail Table with Casters by Rooms Collection One at Rooms Furniture in the Houston, Sugar Land, Katy, Missouri City, Texas area. Product availability may vary. Contact us for the most current availability on this product. Add classic style with an updated twist to your living room with this occasional collection. A blend of features such as traditionally turned feet and the light gray finish create a welcoming traditional look for these pieces. The Liberty collection is a great option if you are looking for Transitional furniture in the Houston, Sugar Land, Katy, Missouri City, Texas area. Browse other items in the Liberty collection from Rooms Furniture in the Houston, Sugar Land, Katy, Missouri City, Texas area.